Amnesia: Various, Luminous, Fixed. Joseph Kosuth at Sprueth Magers, London. An exhibition of Kosuth's neon works from 1965-2011 is ending next weekend at Sprueth Magers London gallery location. The collected works are all centered around the meaning of art and language, the artist's main conceptual obsession. 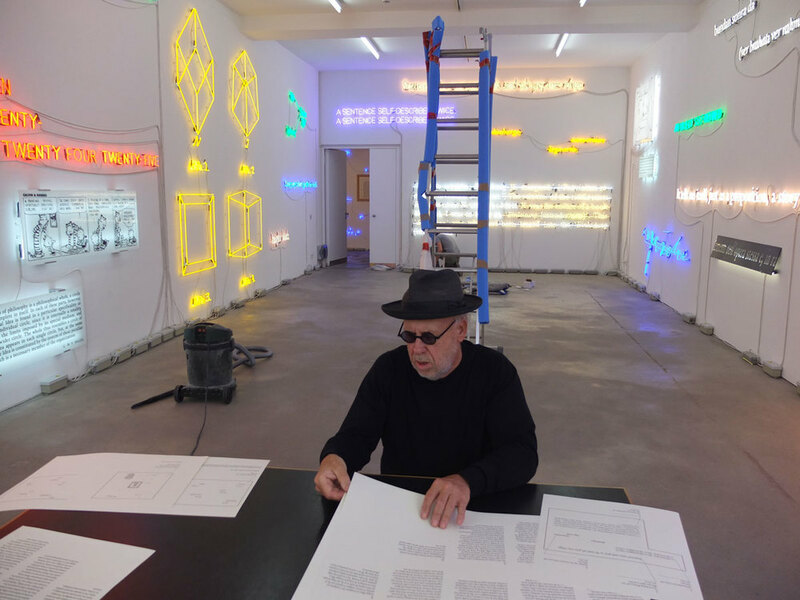 Joseph Kosuth during installation at Sprüth Magers gallery, Berlin. April 2013. Newer:Become a Social Media Liaison for NCECA!!!! !Older:Su Wu interviews Matthias Kaiser on CFile.